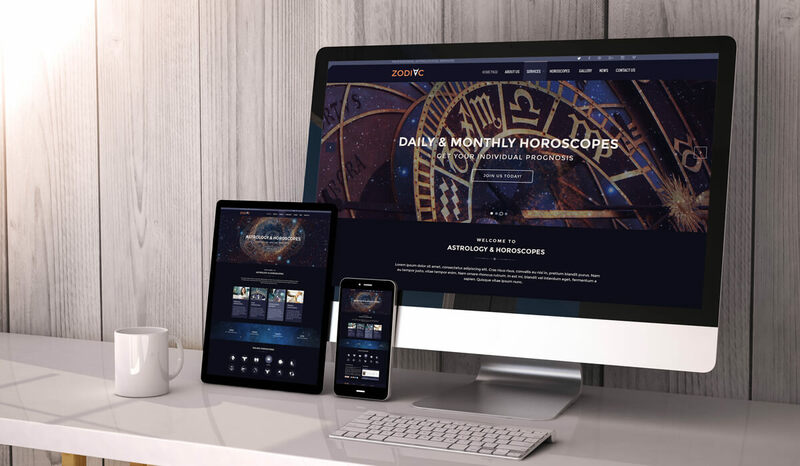 We would like to introduce the Joomla Astrology template that is a perfect match for people who would like to publish information about zodiac signs, horoscopes and etc. The Joomla template is very easy to operate since it has the content management system (CMS) that provides the administration panel to run the website fully. The administration panel can be used to delete and upload pictures, add descriptive and non-descriptive texts, add the new pages and etc. The CMS of Joomla is pretty similar to the one of WordPress but still, there are some slight differences but the principal ones remain the same. As it was mentioned above, working with Joomla template is very easy, you just have to install it on the server because otherwise, it will not work. However, the installation process compromises just a couple of steps and takes only a few minutes. To go through the installation process successfully, we will offer you the guidance that will explain everything in a very detailed manner. The guidance will be offered in a video tutorial format and will be uploaded in no longer than one week. The astrology, horoscope, and information about destiny are very popular among people, therefore, it is very important to offer all of the above online as well. The Joomla template will enable you to launch a high-quality website with an authentic design in an extremely short period of time. The website will have enough space to present all of the information in a meticulous way. To be more precise it will have the six different pages like Home, Services, About Us, Gallery, Horoscopes and Contact Us. You would be able to offer the horoscope and forecast the future for everyone regardless of his or her zodiac sign. You will also be able to publish the images on a separate page called Gallery. If you like the pictures that are already included in the template, feel free to use them as well since they are covered in the charged price. Purchasing the suggested template means that customers will be able to check their horoscopes anytime they want from anywhere because the website will always be available for them. As it was mentioned above, Joomla templates are high-quality products and therefore the websites will never encounter the accessibility problems. Your website would be compatible with many different browsers like Internet Explorer, Google Chrome, Opera, Mozilla Firefox and etc. Moreover, the website will have a responsive design which means it can be opened on any device like mobile phones, computers, laptops and personal computers. This feature is extremely important because more and more devices are created and customers are using those devices very actively. But the best thing about responsive design is that it is changed depending on which gadget is employed to open the website. The responsive design feature guarantees the fact that the website’s design will always look flawless no matter from where it is accessed. Purchase and use the offered Joomla template to provide the professional astrological services online. Employ the Joomla theme to launch a highly functional website and stay tuned always with the internet audience. If you have any questions, please do not hesitate to ask them and leave them in a comment section. Our support team works very actively and will react to questions very briefly. Moreover, answers will be provided as video tutorials to explain everything in a very detailed manner. Sir - I've been using Joomla since Mambo and I have code commits in the tree. I've spoken at Joomla World. I dare say I know what I'm doing. I bought a TEMPLATE. There is no template. It's full install which is USELESS to anyone with an existing site. The instructions say it comes with a TEMPLATE. It does not. The instructions also say, "For the custom HTML modules (type: mod_custom) there are sources .html files included. You may find them in the template package "sources" directory. Open .html file with your code editor and copy the code to the module Custom Output area in the Joomla admin panel." This is a lie. There is no such sources directory. The data is, likely, in the sample data, but that's not usable for an existing site. This product is NOT WHAT WAS ADVERTISED and the documentation is WRONG. Please refund my money, you did not provide what is offered. it is template, if you would like template unzip package and you find template in the template folder, if you want this template for free, think not good idea. You're not listening. I have an existing Joomla site. It's the product of years of work. I want to create pages using this template. I don't have the luxury of starting over and NOWHERE DOES IT SAY THAT THIS REQUIRES A COMPLETE FRESH INSTALL. If this template isn't standalone, YOU SHOULD HAVE SAID SO. Please refund my money, this is USELESS to me. I think you do not know what you want. Impossible use in 1 joomla both sites because each site has its data if you import in the same base another template base you will crash your old site. Yes, I read the instructions. Your ZIP file contains a FULL JOOMLA INSTALLATION. This does me no good. I already have Joomla installed and running. I just need to install the TEMPLATE so I can start designing. I CANNOT USE A FULL JOOMLA INSTALL. The instructions say the template should be in a ZIP file. QUOTE: joomla3_###.zip - main theme archive. Contains all theme files. Should be installed through Joomla extension manager There is no such ZIP file. There's just "install-pack-893.zip" which is a full Joomla install. Where can I get JUST THE THEME, please? it is not easy. I recommend you install with 1 click installation package. we recommend you to delete your installed joomla and install template with 1 click install package. 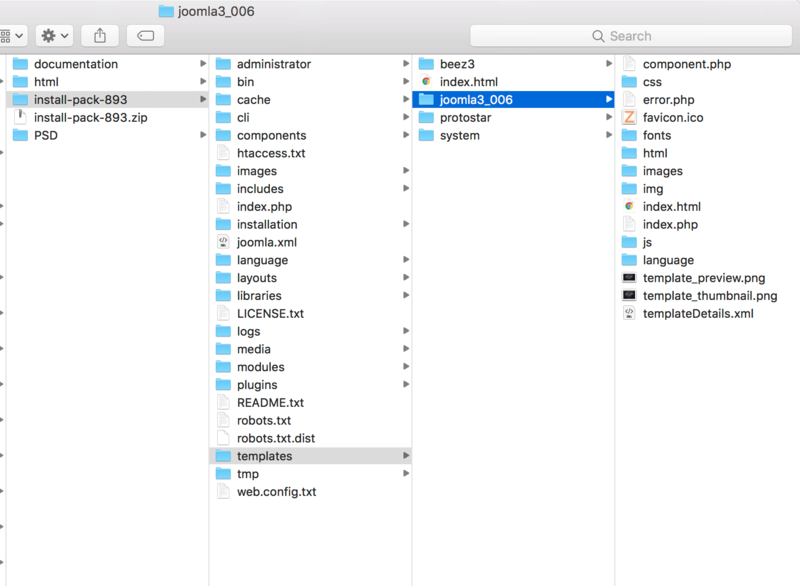 What you need only joomla installed on your server or with template? I purchased this template, BUT THERE IS NO TEMPLATE! There is a full Joomla install in the download, but that does me no good, as I already have a Joomla site. If the template is pre-installed, it's useless. I need to install it on an existing Joomla deployment like EVERYONE ELSE does. There is HTML, which is nice, but that's not a Joomla template, is it? Where can I get the TEMPLATE I paid for?! please read documentation and follow, it is 1 click joomla and template installation file. It is last version not old one. If you have not experience in this, please let us know and we will install it for you.